Is this the same as Micro Reality? EVEN NASCAR DRIVERS LOVE IT! 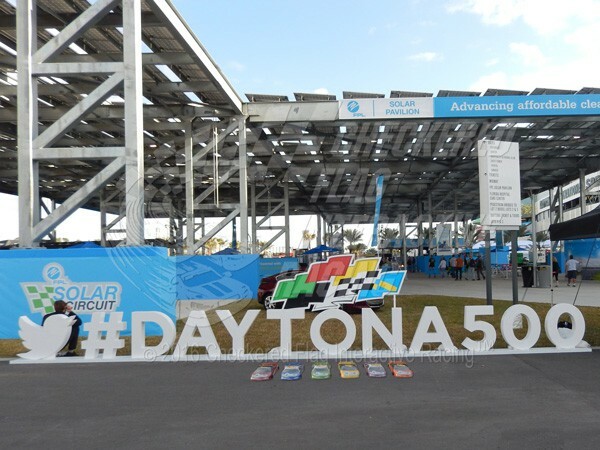 NASCAR® is one of the most popular spectator sports in the country. Hundreds of thousands of people flock to speedways 38 weekends a year to experience 40 racecars driving 200 miles an hour and merely inches apart. The roar of the engines is almost deafening. But it pales in comparison to the roar of everyone cheering for their favorite driver. It’s an overwhelming sensation, that you have to experience in person to fully appreciate! 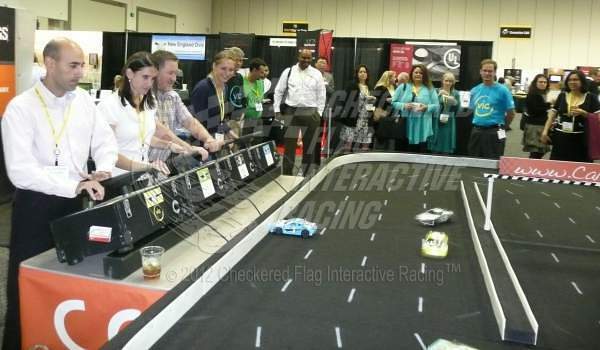 With remote control NASCAR®-style racing from Checkered Flag Interactive Racing™ you and your guests will get a taste of this excitement at your next event. 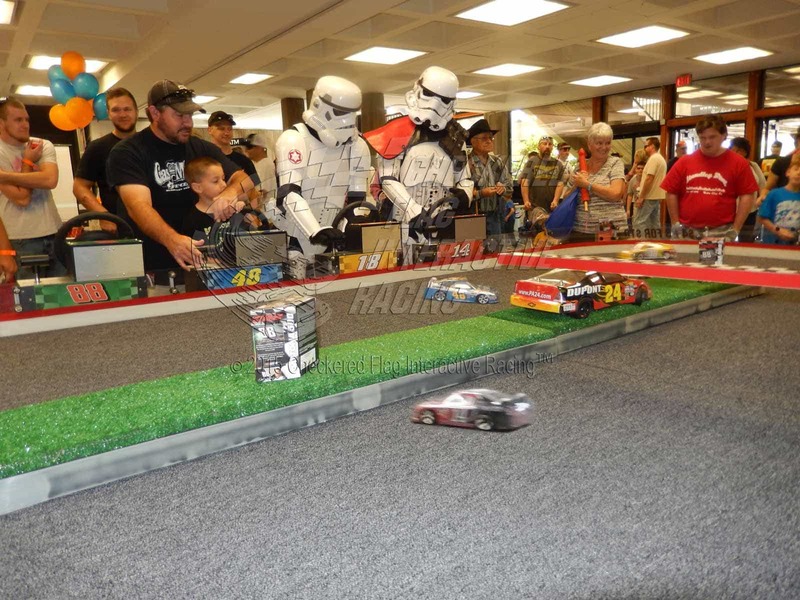 That’s right, we bring realistic micro stock car racing to any corporate or promotional event. Your attendees wont just watch the high-speed racing action, they will be part of it, as they take turns racing each other. Who hasn’t fantasized about being a racecar driver at some point in their lives? YOU can give them this opportunity! So Addictive, We’ll Have To Pry The Steering Wheels Out Of Your Guests’ Hands! Give your customers and/or employees an experience they will NEVER forget. With either of our race systems we provide: realistic racecars, driving consoles with real steering wheels and shifters (no remote to hold in your hand), computerized electronic scoring, a customizeable video scoreboard, and life-like racing sound effects. We also provide a uniformed crew to host the race, assist the drivers, operate the equipment and provide play-by-play announcements. These are NOT slot cars!!!! 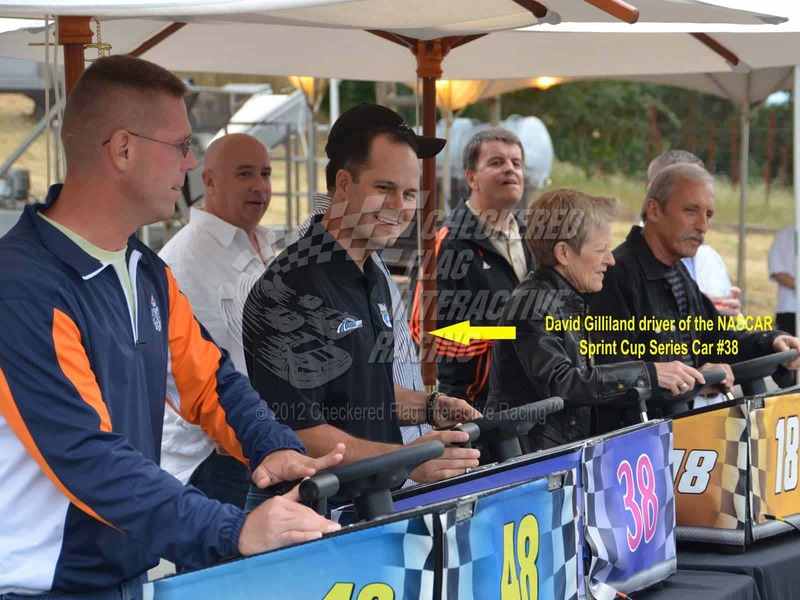 Your guests are in complete control of the racecars as they drive around the track. These are NOT tiny little toy cars!!!! At nearly two feet long, these are 1/10th scale cars designed specifically for event entertainment. (Our Extremely Portable – XP18 racetrack system cars are just over a foot long). This is NOT just for race fans!!!! Absolutely everyone enjoys driving these cars. In fact, it is so addictive, we have to pry the steering wheel out of most people’s hands. This is perfect for all types of events!!!! Whether you’re planning a banquet, a team-building event, a picnic, or a parking lot sale this is the perfect solution. We guarantee your employees and/or customers will have an absolute blast living out their “racecar driver fantasies”. We can operate indoors or out!!!! Our systems can be set up inside a large banquet room, meeting space, exhibit hall, or any room that can provide us approximately 25′ x 35′ of space (12′ x 20′ with our ultra-compact track). Or we can set up outside. 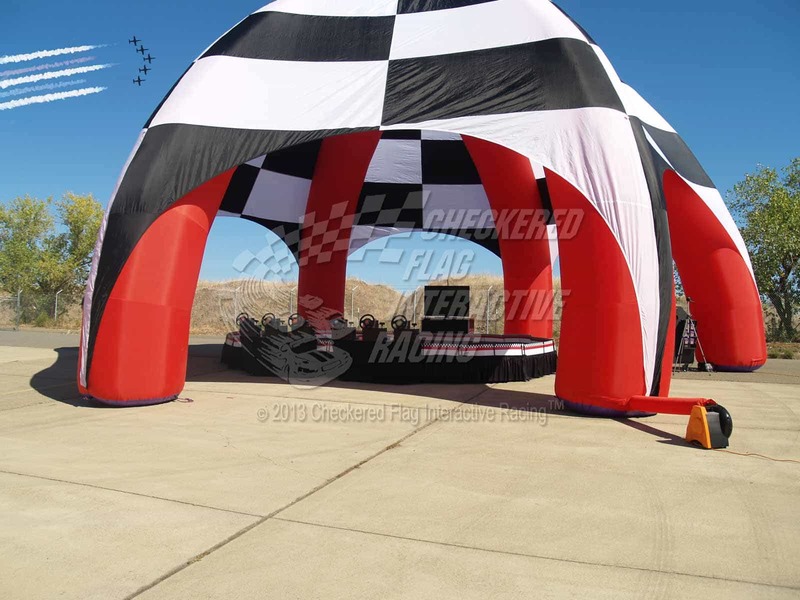 We offer our Inflatable Race Dome to keep the track and drivers protected from the sun. When they’re done drivers can be given a branded souvenir photo they will immediately share with their social media friends and followers. 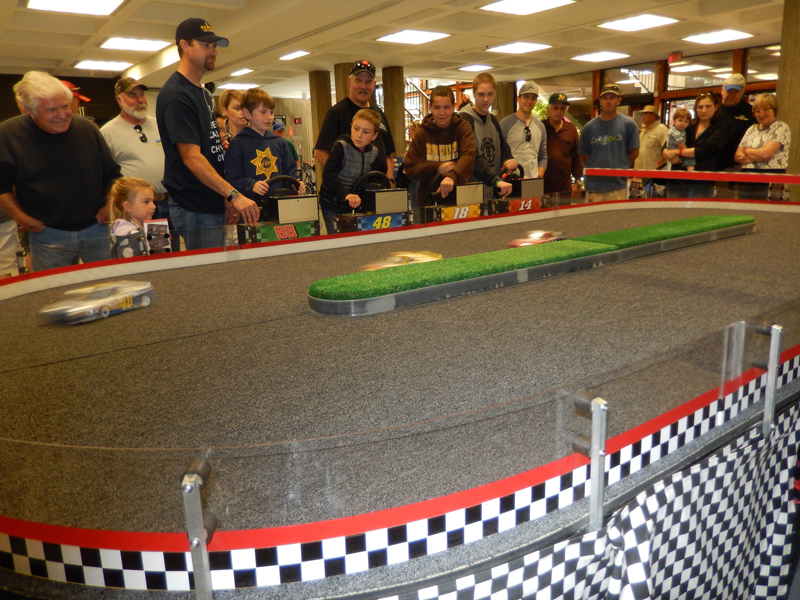 Here’s our Demo Video showcasing our remote control NASCAR®-style racing. There are more videos available on our Photo/Video Page. We can provide racing as a tournament, a team building program, or free-play! 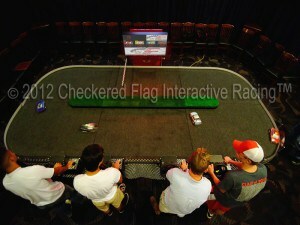 Checkered Flag Interactive Racing™ can be presented at pretty much any type of event, anywhere across the nation. 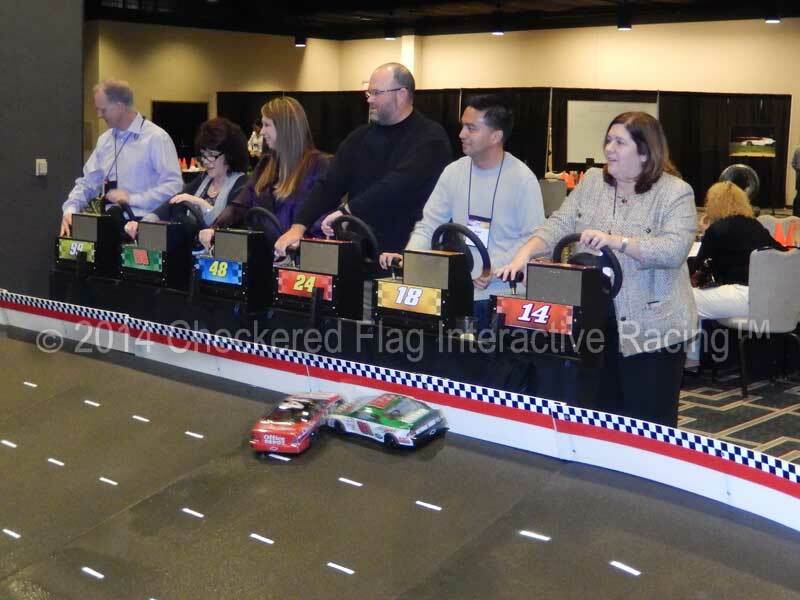 So no matter what type of event you are planning, you and your guests will love our fast-paced remote control NASCAR®-style racing entertainment. And with the addition of our Souvenir Photo/Lead Capture System your event will be speeding through social media as well. Click on one of the photos below for more information on each type of event. You wont find a more popular entertainment option for corporate banquets, sales meetings or team building events. Click the photo below to learn more. We will draw crowds and gather leads at trade shows, marketing activations or other promotional events. Click the photo below to learn more. Racers keep coming back when we are a featured attraction at Fairs, Festivals, Car Shows and other public events. Click the photo below to learn more. INTERACTIVE RACING AT MY EVENT! 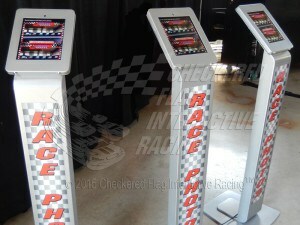 Checkered Flag Interactive Racing offers two race systems and an amazing souvenir photo/lead capture upgrade. Giant Racecars Are Nearly 2 Feet Long! 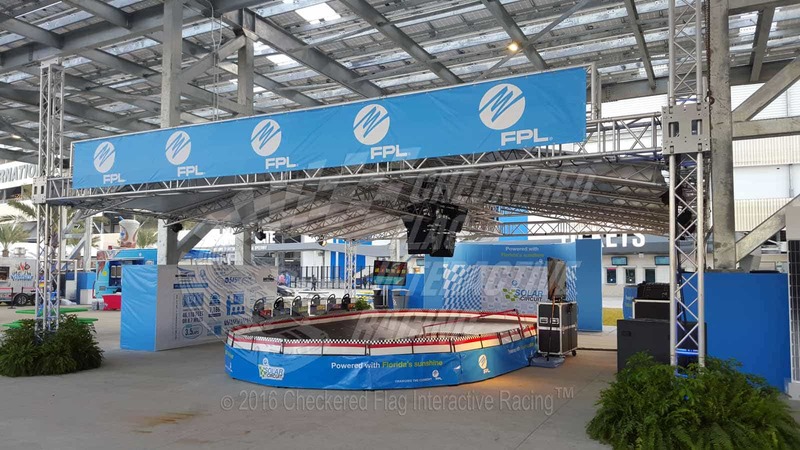 Checkered Flag Interactive Racing’s Extra Large (XL10) Super-Speedway brings the WOW to your event, whether you custom brand it or not. 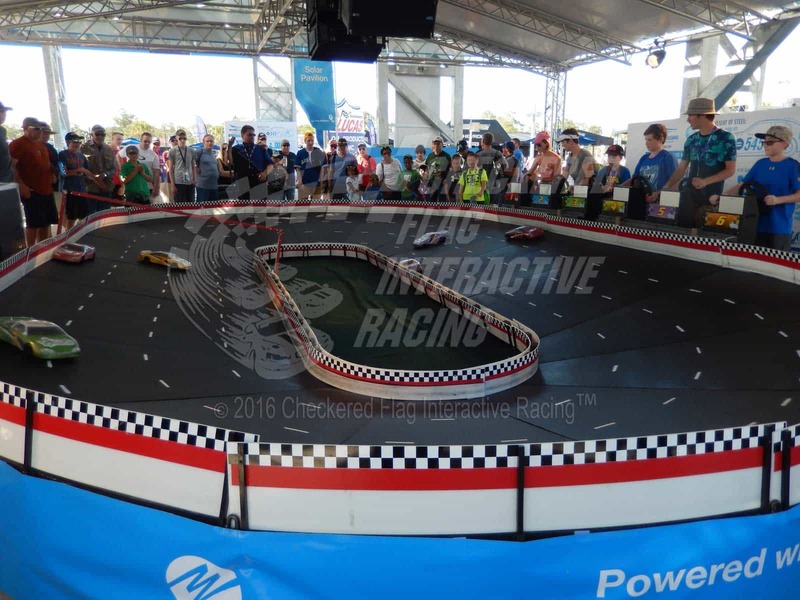 Checkered Flag Interactive Racing’s Extremely Portable (XP18) Ultra-Compact Racetrack takes 1/3 of the space but provides all of the excitement. 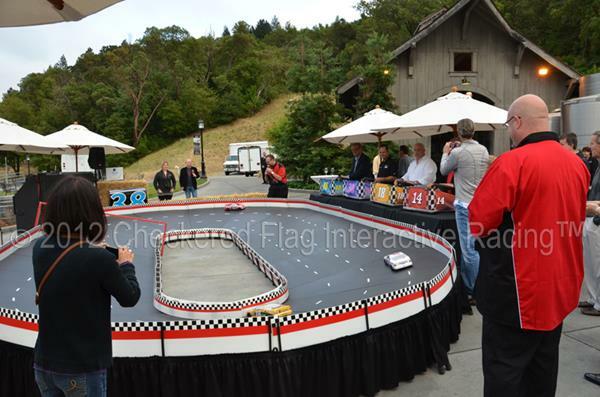 Checkered Flag Interactive Racing’s Souvenir Photo/Lead Capture Upgrade takes your event to social media while gathering contact data. Our Extra Large Track Brings Big Time Racing Action To All Types Of Events. They say “Go big or go home”. This is our original 16′ x 28′ racetrack. After more than a year of renovations, this is the most technologically advanced 1/10th scale race system available anywhere. This ensures that your guests will have an unparalleled race experience. Click the photo above for more information about our Extra Large (XL10) super-speedway system. There’s Nothing Small About The Excitement We Create With Our XP18 Racetrack. Since some clients just can’t allocate the space to accommodate the XL10, we now offer a patent-pending, ultra-compact race system that is capable of fitting into a space about one-third the size of our original track while still providing the same fast-paced racing thrills. Click the photo above for more information about our Extremely Portable (XP18) Ultra-Compact Racetrack system. Giving Away Our Proprietary Branded Photos Will Help Your Event Go Viral. We will gather leads and expand your event’s exposure. Every participant’s photo is taken during their race. Afterwards they will enter contact information at kiosks and the now branded photo will be emailed to them along with whatever marketing messages you wish to include. These photos are then shared to social media. Click the photo above for more information. The bottom line is…We know How To Entertain With Car Racing! And we also know Hollywood-style game shows. Visit our other company Ultimate Game Show to learn more. What are you waiting for? 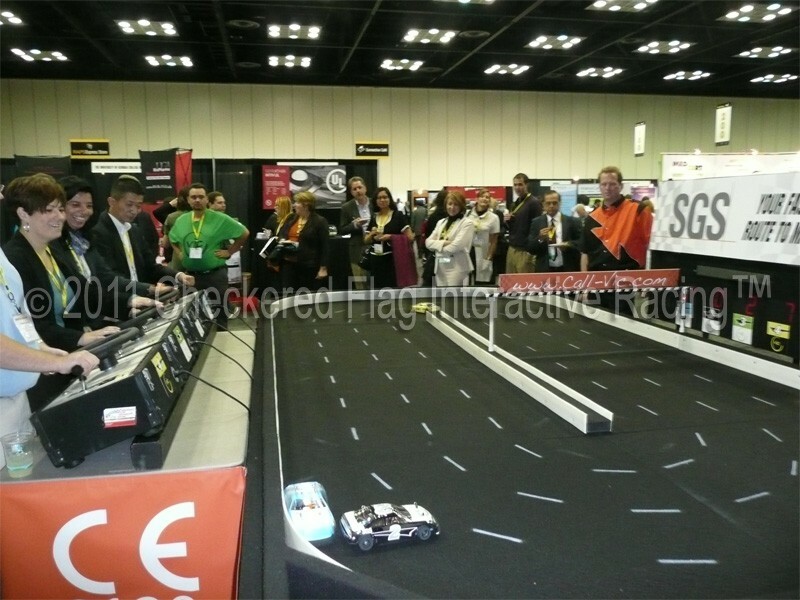 Checkered Flag Interactive Racing is ready to help you create a successful corporate or promotional event with a custom game show production. For more information or to lock in your dates, call 1-866-442-6746, email us or fill our our contact form. Entire contents © 2016 Checkered Flag Interactive Racing™, a division of Bryan Quinn Productions. All rights reserved. 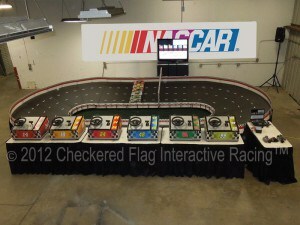 Checkered Flag Interactive Racing™ and Bryan Quinn Productions are not affiliated with NASCAR® or any of the individual race teams, drivers or sponsors. For privacy reasons Facebook needs your permission to be loaded. For more details, please see our Privacy Statement.